Residential wall construction has changed very little over the last 100 years. Light frame construction with wood is flexible, adaptable, cheap, relatively disposable, and requires very little skill to assemble. It is a dominant system for a reason and a difficult system to influence. We believe introducing “zippered Wood” to the stick framing approach could shift this entrenched construction method, making it more responsive and resource responsible. P.O.P. 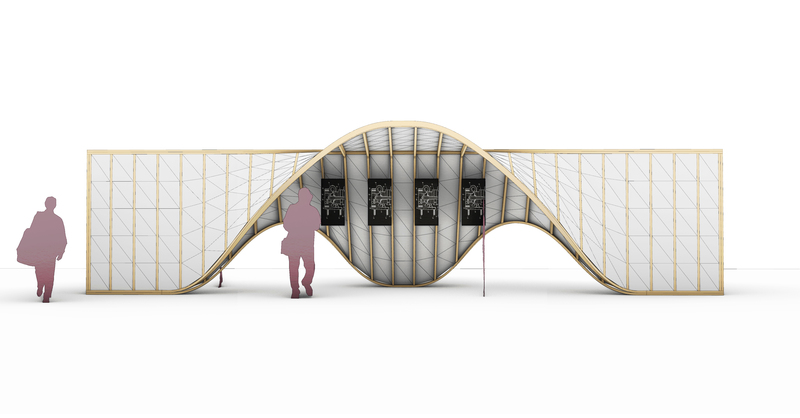 Houses are a series of experimental wall and construction prototypes that challenge conventional wall construction through an open, collaborative approach to material, fabrication, and installation methods. We believe we can free the architect to conceptualize and deliver more sophisticated buildings. We aim to do this by amplifying the architect’s control over material forming strategies, introducing adaptability into the forming process, and finally reducing the cost of shaping materials in time, material, and setup. This must be tested. HiLo Lab intends to execute P.O.P. Wall projects in a manner similar to a conventional design-build. We will collaboratively design small construction projects to be executed on the UBC campus, or in the field. 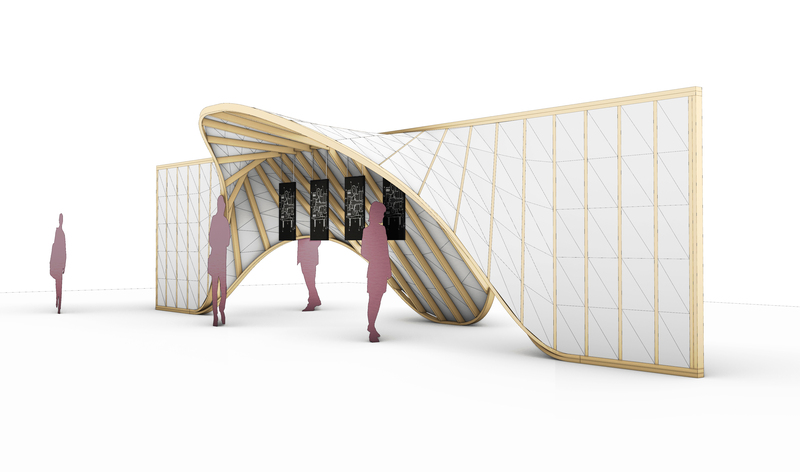 The projects will focus specifically on the use of wood pulp, recycled plastic, salvaged wood, and other materials to build a small interior and pavilion/housing prototypes. Stick-Formed Wall is to be one of these prototypes. The project, to be erected in the UBC Nest, is a demonstration of the “Zippered Wood” concept. Support from UBC SEEDS for this project has been invaluable and is greatly appreciated.